Our dream at #ArtDistilled of turning an abandoned rum distillery in northern Colombia into the world’s largest graffiti museum has not only benefited from the talent and support of some remarkable street artists from across the globe, it has also benefited from the unique location of the distillery. Tucked away in the heart of the jungle, in the shadows of two of Colombia’s most ecologically important mountain ranges, there’s a special magic to the site which has inspired many of our visiting artists to create some of their best work. Along with our focus on graffiti, we also want this museum to pay tribute to, and help to protect, the wonderful biodiversity of this threatened region of Colombia. But what is it that makes this area so ecologically important? To the north of the distillery lie the misty mountains of the Sierra Nevada de Santa Marta. Known to their Indigenous guardians as “The Heart of the World” these unique mountains predate the Andes and sit upon their own tectonic plate. From the palm-fringed beaches of the Caribbean to the glacial peaks of Colon and Bolivar (Colombia’s highest mountains), the Sierra Nevada rises from sea-level to almost 6,000 metres in just 26 miles, making them the tallest coastal mountains on earth! There are places along the Caribbean coast where it’s possible to stand with your feet in the sea and look at snow-capped glaciers in the distance: surely the only place on earth where such an experience is possible. And the Sierra Nevada isn’t just a geological miracle; it’s an ecological one as well. Recently declared the most irreplaceable ecosystem on Planet Earth due to its staggering array of endemic and endangered species, the habitats that make up this magical place encompass just about everyone on earth, from coral reefs to high-altitude moorland. From the secretive jaguars stalking their jungles to the mighty condors which soar above their jagged, sacred peaks, the Sierra Nevada is home to some of Colombia’s most representative and endangered species. The staggering number of endemic species (species unique to the area) in the Sierra Nevada is part of what makes the region so irreplaceable – if we lose birds like the Santa Marta Parakeet or Blue-bearded Helmetcrest, there’s no saving them elsewhere; they will be gone for good. To the south-east of our Graffiti Museum is one of South America’s least understood and most biodiverse mountain ranges: the Perija Mountains. Until recently no-go zones due to the Colombian conflict, these forgotten mountains straddle the border of Colombia and Venezuela and are part of the final stages of the Andes’ epic 7,000km journey along the length of the South American continent. Perija’s wildness once served as a shelter for two key fronts of the FARC guerrillas, but the area has been safe for a few years now and we are only just beginning to understand their ecological importance. In its isolation, Perija has sheltered a biodiversity that potentially rivals its northerly neighbour the Sierra Nevada de Santa Marta. With four endemic bird species already discovered there (the Perija Tapaculo, Perija Metaltail, Perija Brushfinch, and Perija Thistletail), and potentially many more on the way as scientists begin to penetrate its lost valleys and moorlands, these mountains are vital to conservation efforts in Colombia. It would be a crime to lose the biodiversity of Perija before we have even had time to fully understand its depth and diversity. There are potentially ten or more new endemic species to discover there, not to mention the number of new species of other flora and fauna that could potentially be living there. The battle to protect the Sierra Nevada de Santa Marta and Perija is only just beginning, as the pressures of global warming, deforestation, and human expansion mount, and these ecosystems face an increasing threat to their survival. 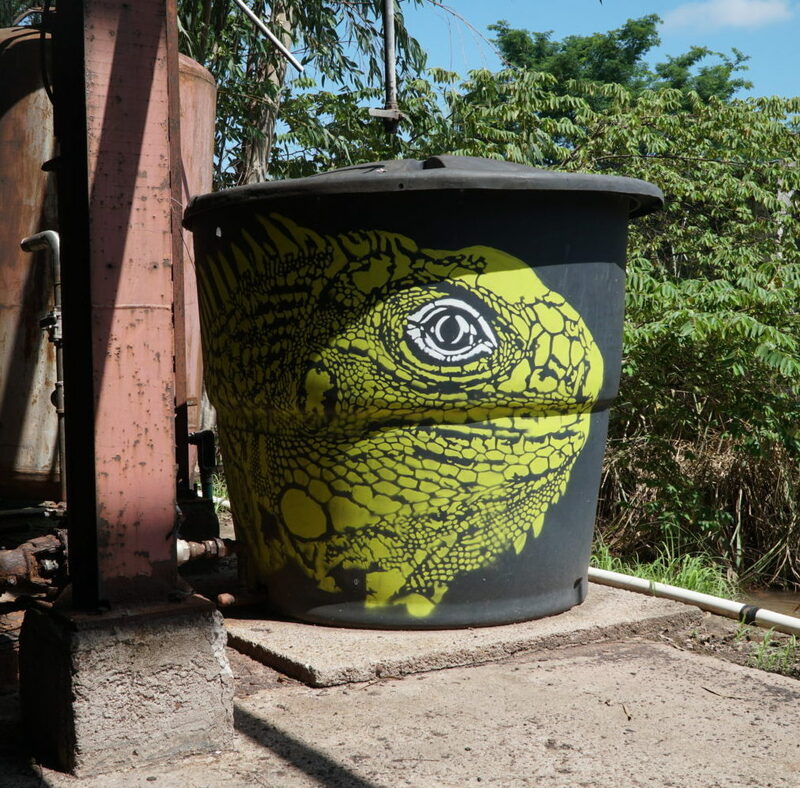 We are privileged at Dictador Art Masters that our Graffiti Museum lies in an important ecological corridor between these two endangered environments and we do not intend to waste that privilege. Therefore, our #ArtDistilled project will have a strong conservation message. Our artists will be painting murals of the most endangered and important animals and birds which reside in this region and these murals will be auctioned off in order to raise money for their protection. By raising awareness of the plight of this region and its biodiversity we hope to be able to play our part in ensuring that the most irreplaceable places on earth never have to be replaced.